The SVQ in Hospitality Supervision and Leadership at SCQF level 7 consists of four mandatory units and four optional units. This qualification is now in its lapsing period and will finish on 31.08.2021. Centres should ensure candidates complete the qualification and results are submitted to SQA before 31.08.2021. 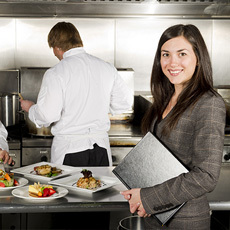 This SVQ is also part of the SCQF level 7 Modern Apprenticeship in Hospitality Supervision and Leadership.